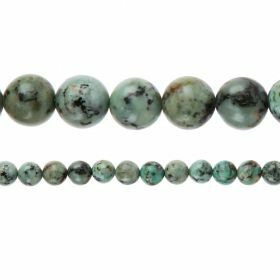 Our natural Turquoise Stone are genuine turquoise and all of the beads are of exceptional quality. 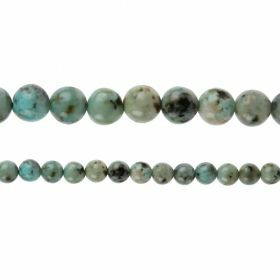 The beads are sourced from specific mines recognised for their rigorous grading standards. 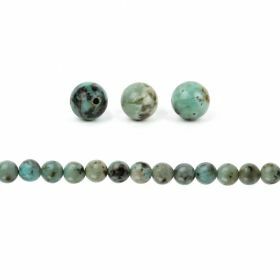 Natural turquoise beads are graded based on their appearance, with those that are uniform in colour and appearance being the higher quality. Turquoise stone is associated with the birthstone for December and zodiac sign Sagittarius. It is said to represent luck, wisdom, emotional balance and tranquility. Try using turquoise beads with sterling silver to make delicate jewellery designs. AA The highest quality flawless beads and the most rare. A+ Almost all flawless, fairly uniform in colour and fairly rare. 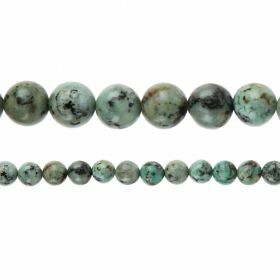 Please note that none of our natural Turquoise Stone are below a B grade as we always strive to provide the highest quality beads. The beads really are stunning, and all are polished to give them an excellent finish, allowing you make something really special. Owning these beads is a rare opportunity due to the Turquoise mines starting to close, making the beads a real investment.